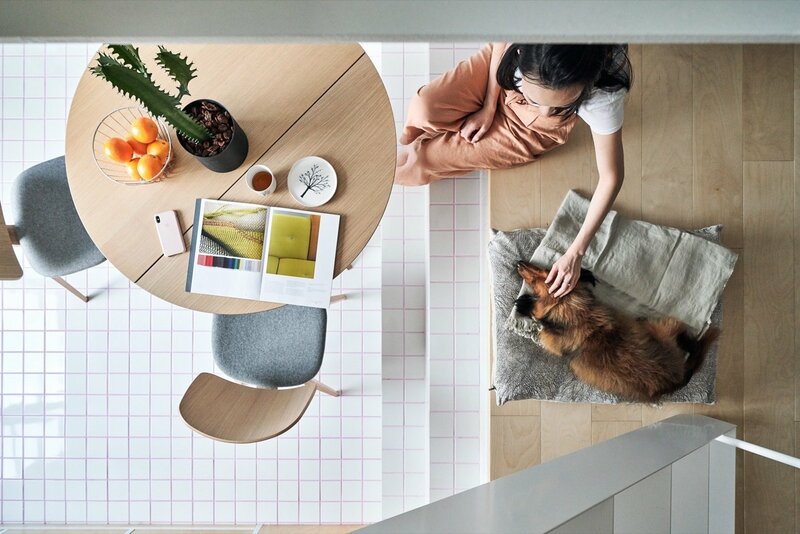 Taiwanese design firm Phoebe SaysWow was approached by developers “to showcase a model of smart urban living in a city with high average rents and limited land for development,”. 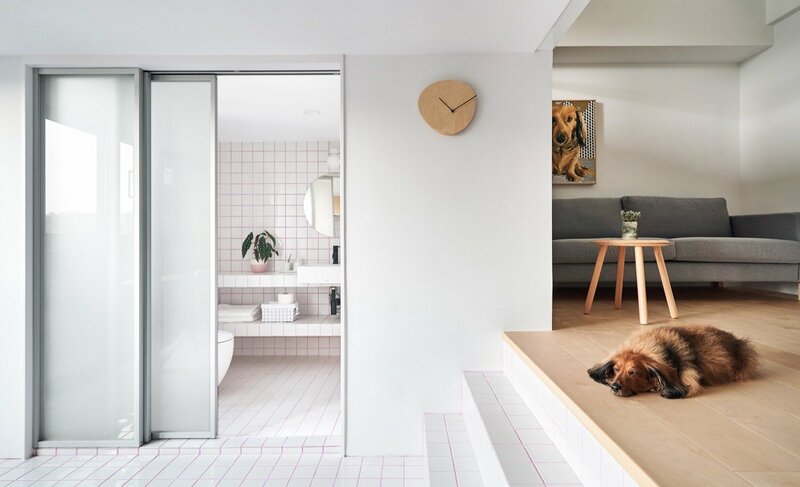 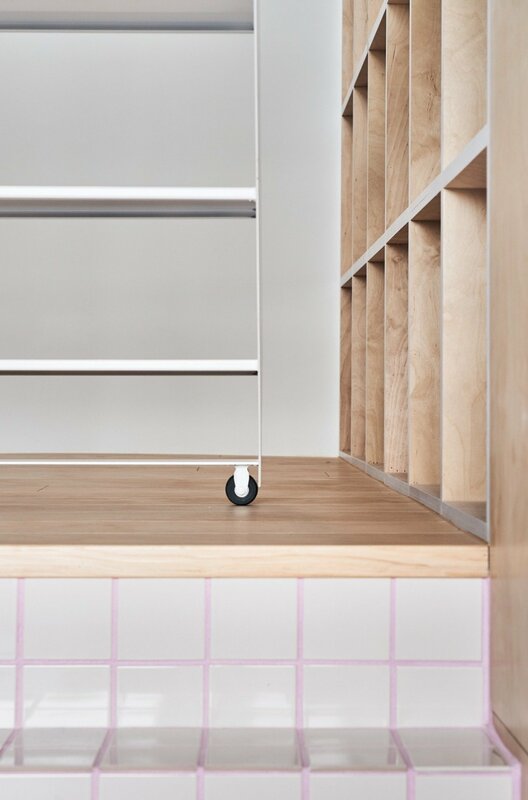 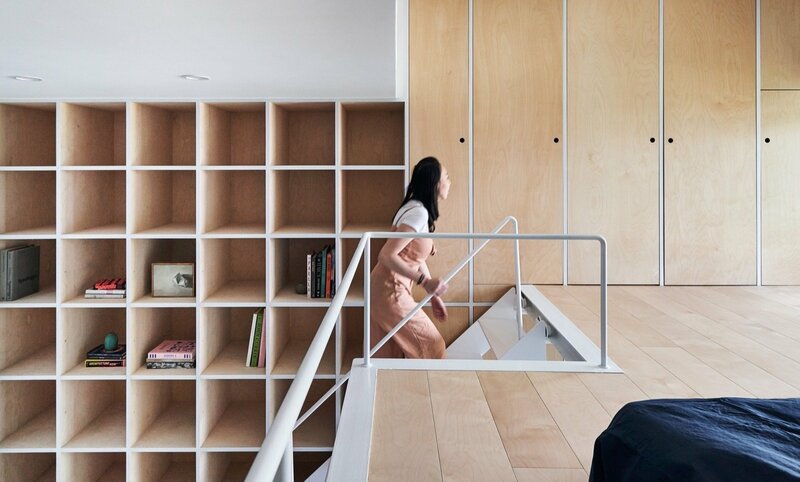 Their solution, a modern 355 square foot apartment inspired by Muji design principles on a budget of $35,000. 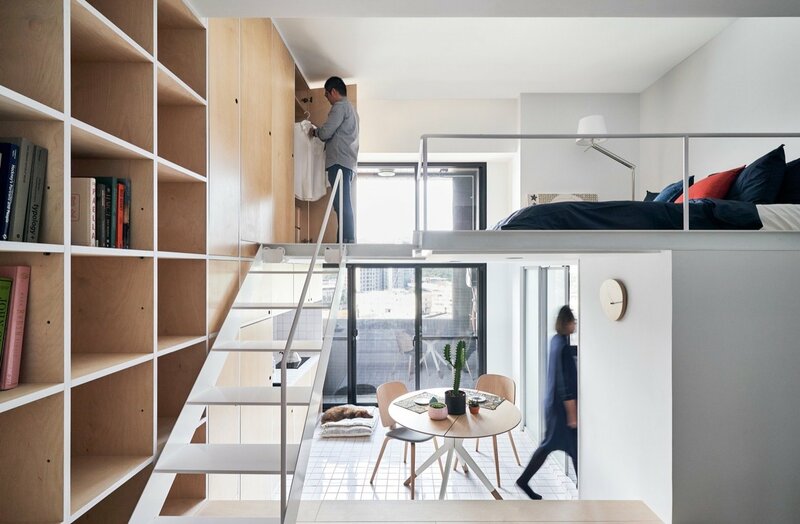 The project entitled Muzha Micro Flat is split between three tiers: entry level, kitchen level, and bedroom level. 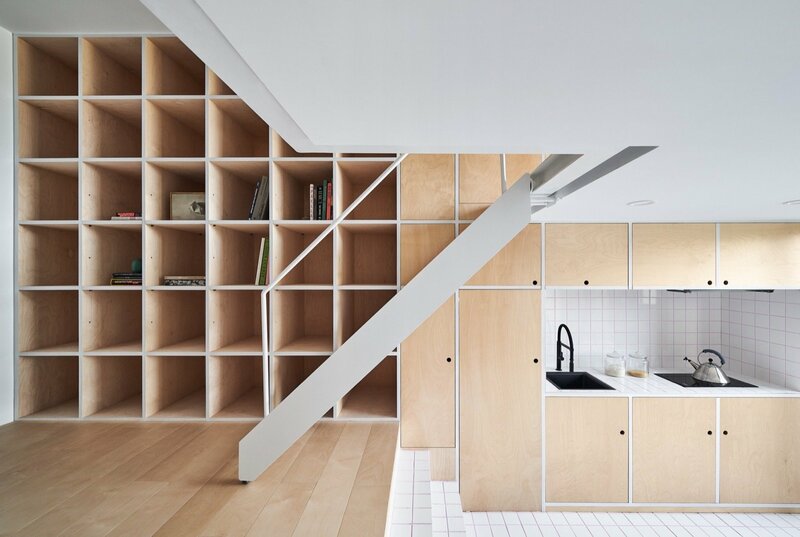 Floor to ceiling shelving was pushed to one side of the apartment and remains consistent throughout the three floors. 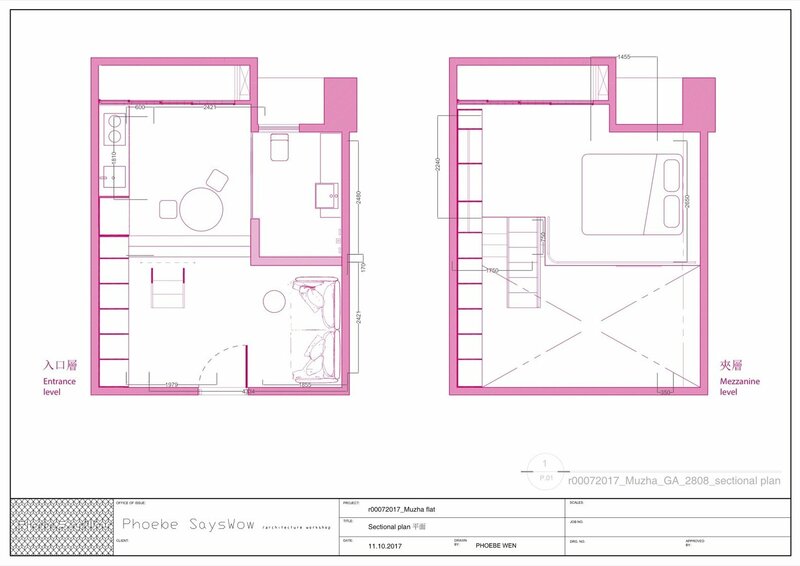 This was intended to leave the open floor plan with an unobstructed view of the space. 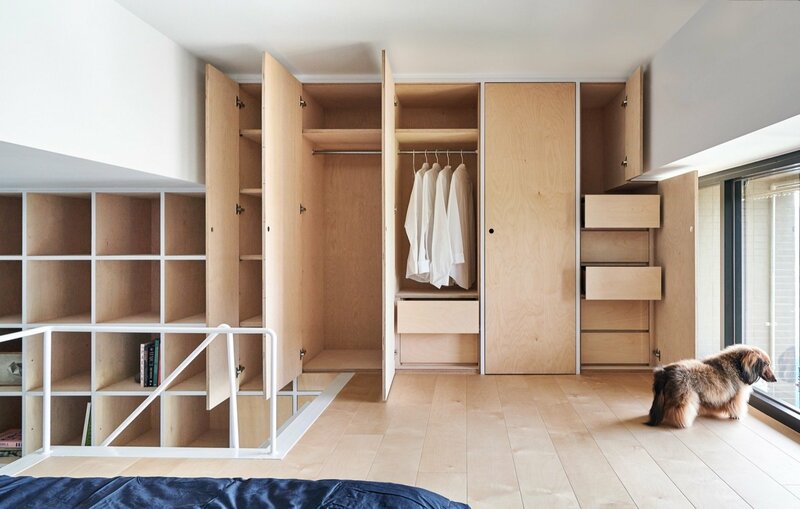 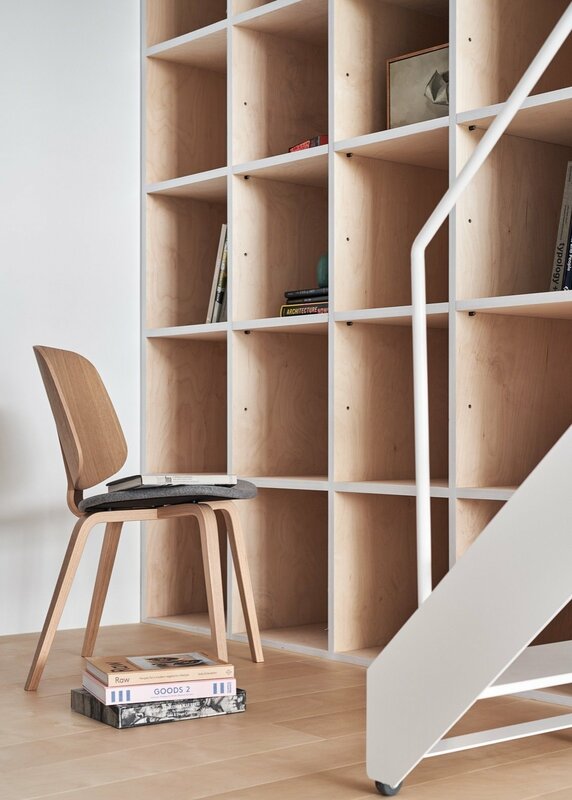 The storage and flooring are outfitted in birch wood to provide a warm/calming feeling for its inhabitants. 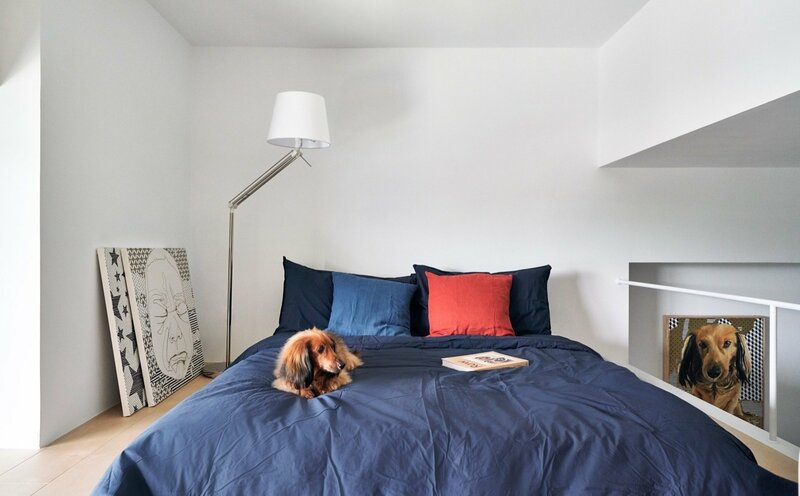 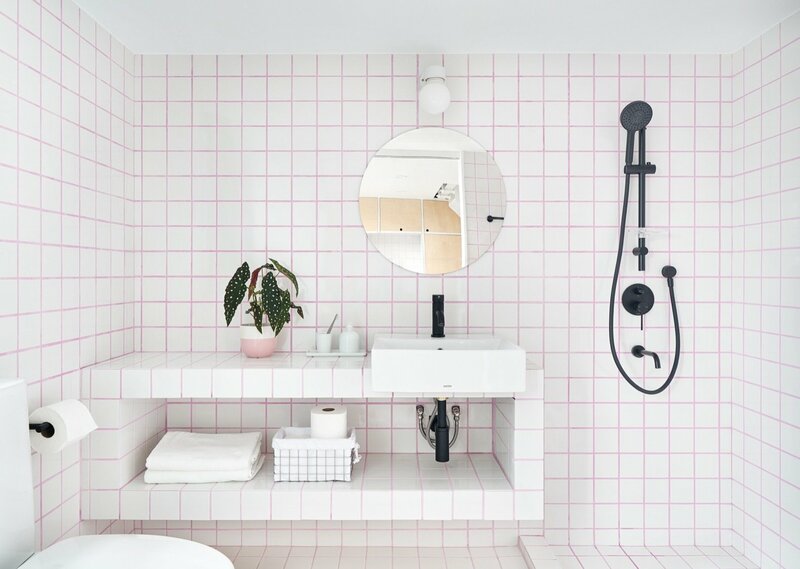 The changing functions of the small space help provide comfort as well as add to its minimalist theme. 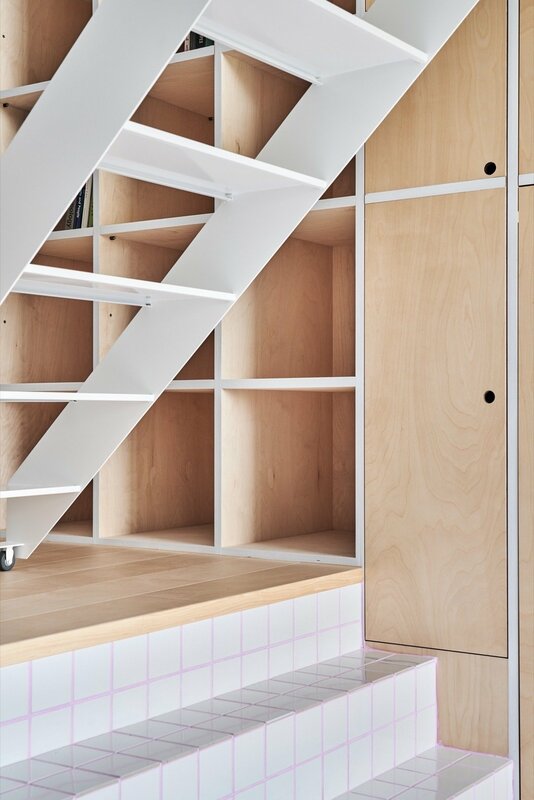 A rolling stairway attached to a track can be moved out of the way to access the storage cabinets behind. 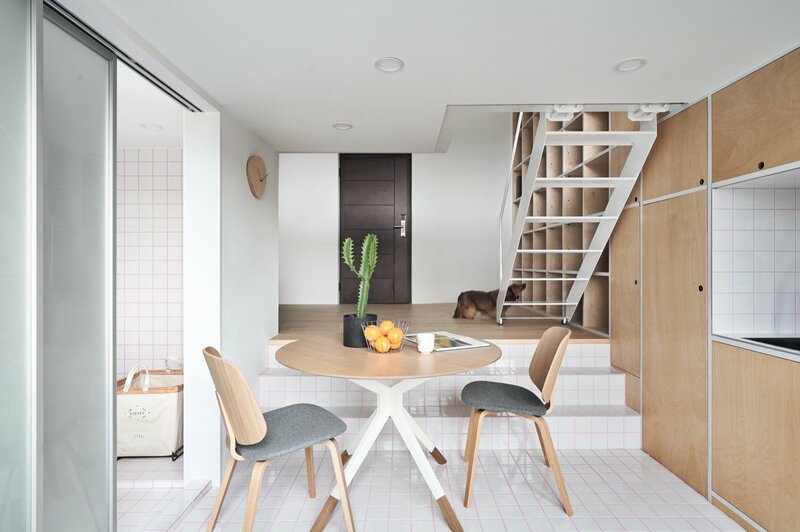 The stairs leading from the entry level to the kitchen can double as extra seating for dining. 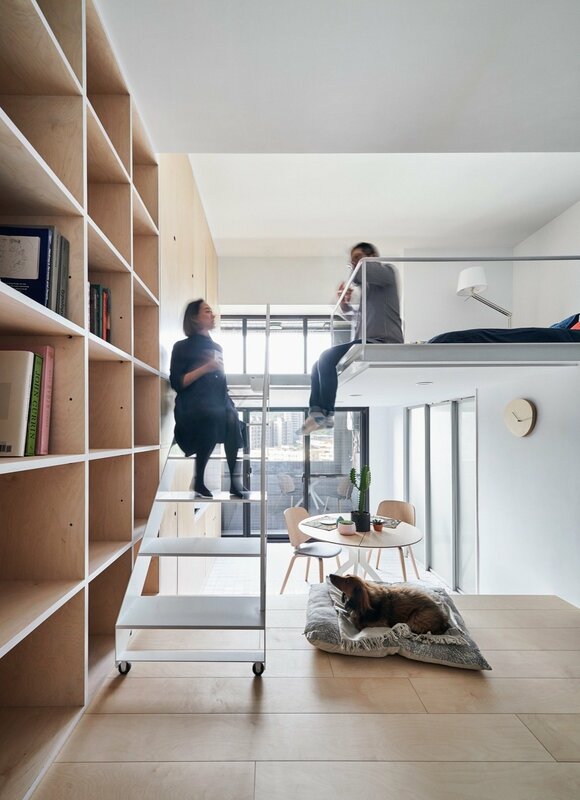 The sleeping loft located on the top floor is placed next to a window allowing for ample light to enter. 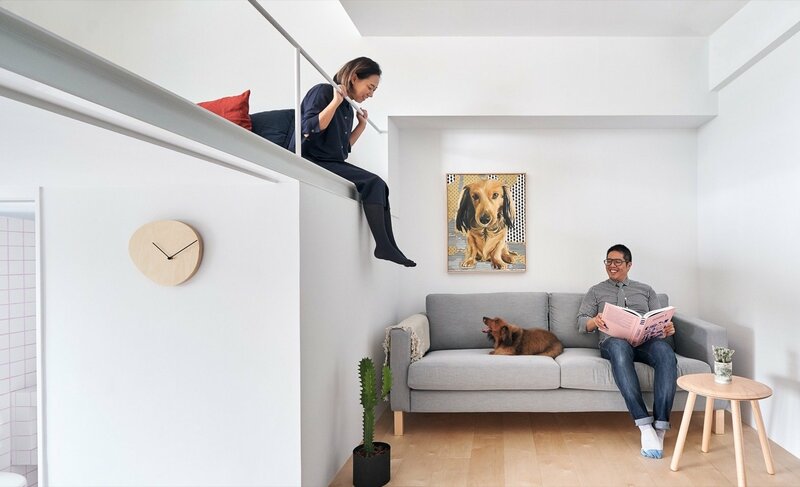 The availability of standing room on this level is also an added bonus. 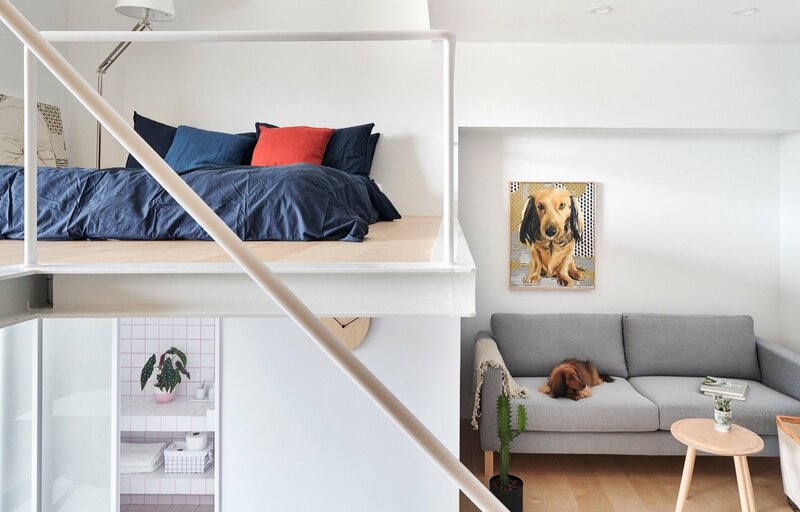 Click the thumbnails below for a complete tour of this microapartment.